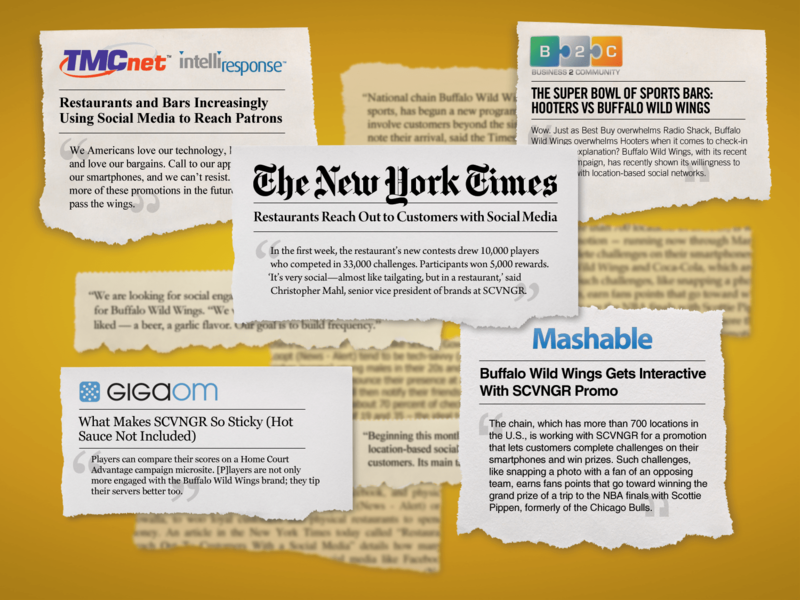 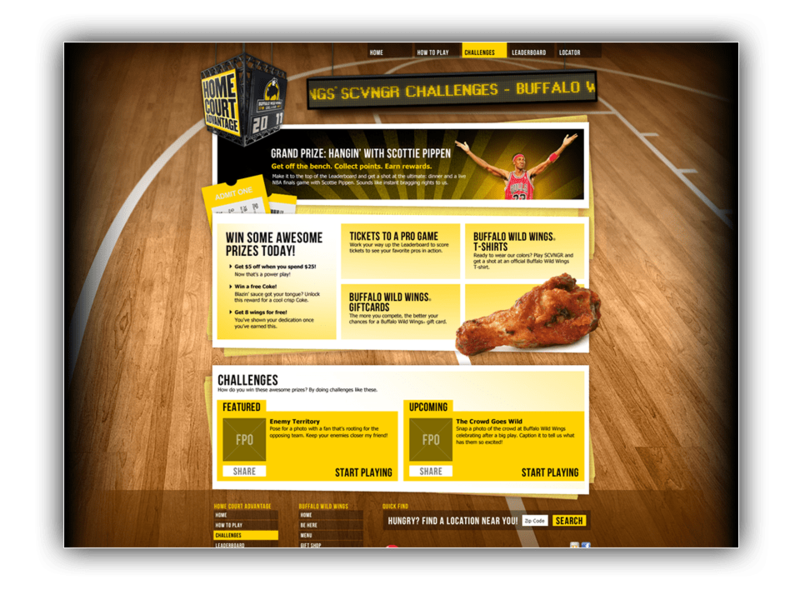 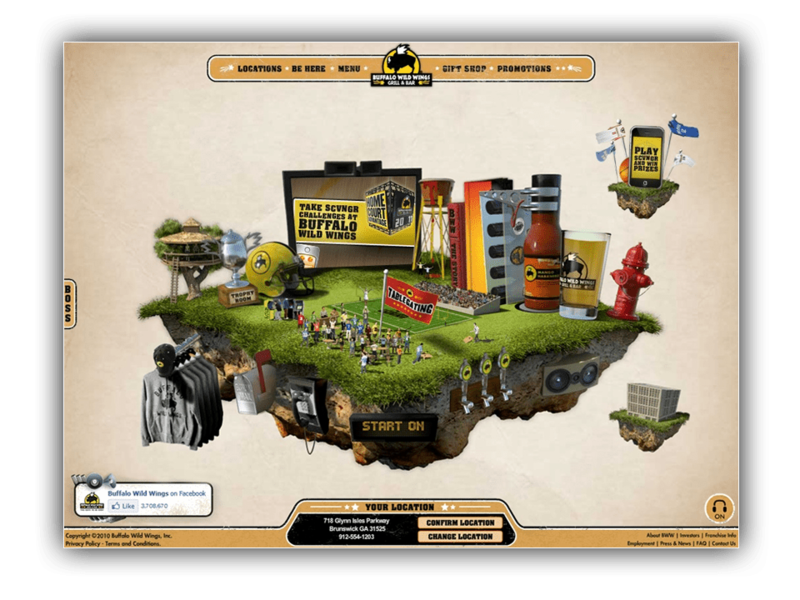 Buffalo Wild Wings tasked our agency with finding new digital ideas that would drive users to their restaurants by leveraging “March Madness”. 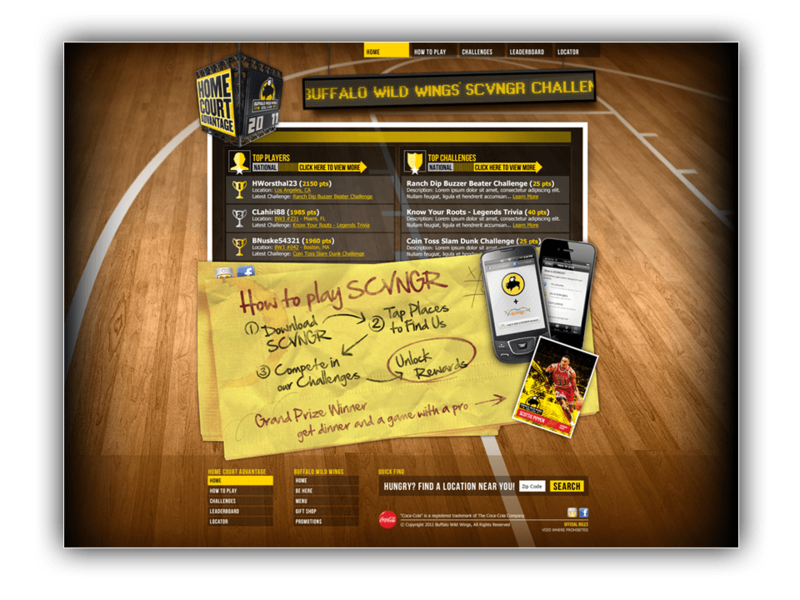 I developed and supervised, with our Content Strategist, the execution of a campaign leveraging SCVNGR, a competitor to FourSquare, to create digital challenges that would be executable on premise. 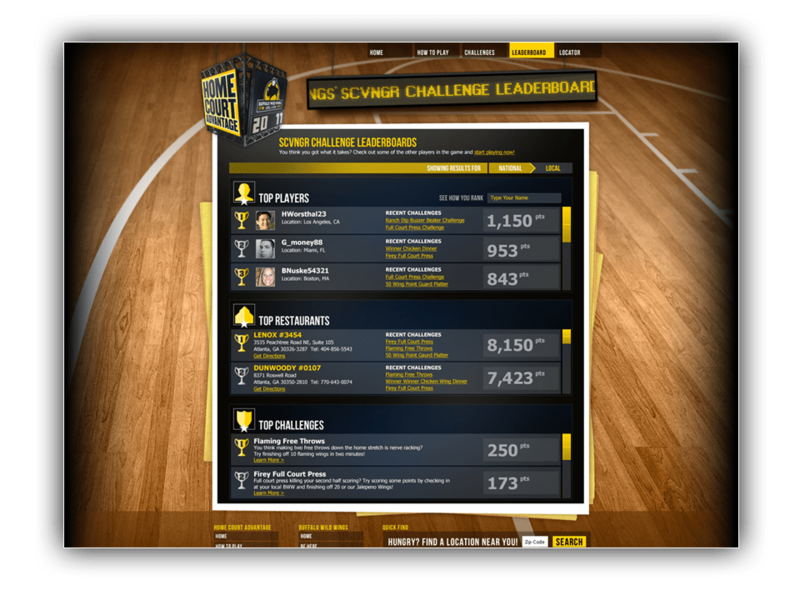 An online leaderboard would tally the best scores and reward them in store with perks and physical rewards. 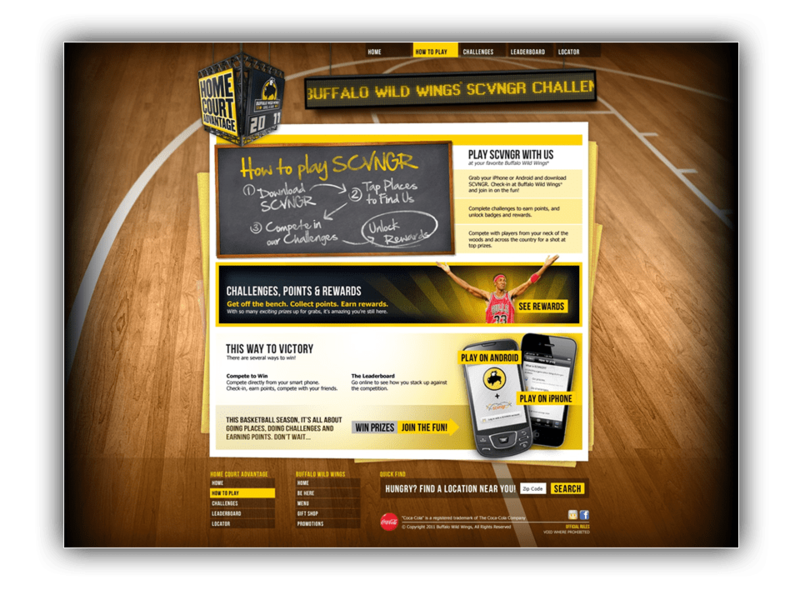 The grand prize was tickets to the playoffs and lunch in company of Scotty Pippin. 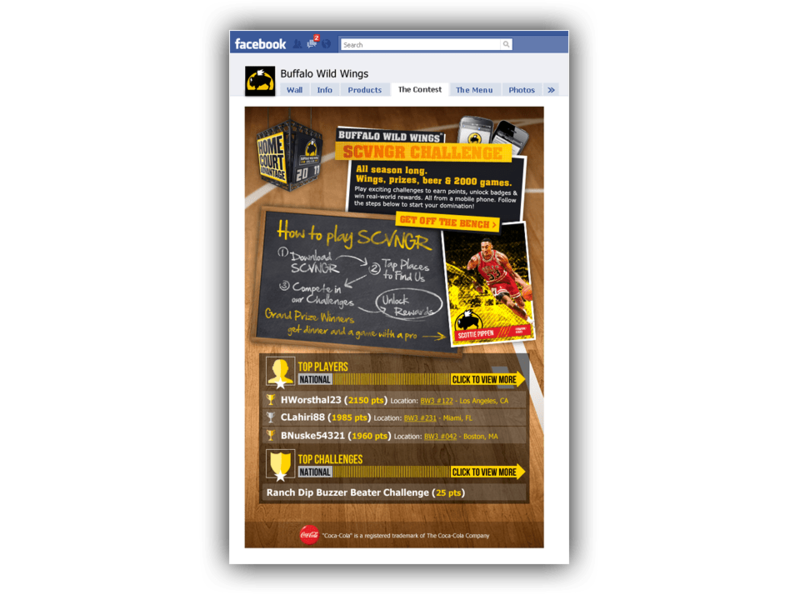 Posted in Advertising, Digital, GamificationBookmark the permalink.